Suparna Airlines, formerly Yangtze River Express, which is a 100% daughter company of the Chinese HNA Group, continues to follow through with their expansion plans. In mid-October the Shanghai-based carrier submitted three new route applications to China’s Civil Aviation Authorities (CAAC). The new services, which are planned to start with B747F aircraft as of mid-November or early December, are a daily Shanghai to Los Angeles via Zhengzhou and returning via Tianjin. The other two are a twice weekly Shanghai - Xi’an - Frankfurt Hahn - Erdos (inner Mongolia) - Shanghai and a daily Shanghai - Zhengzhou - Brussels - Tianjin - Shanghai operation. The two flights via Hahn would bring the carrier a total of three weekly frequencies to the airport. It is reported that Suparna is looking at adding additional aircraft to serve the new routes. They presently have five B747-400 freighters in operation, one of which is leased from Atlas Air. Korea’s national carrier, Korean Air is also revamping their cargo fleet and operations as part of the airline’s overall fleet renewal. In their case they are gradually completing a cargo aircraft change from the older B747Fs to the new generation B777 freighters. 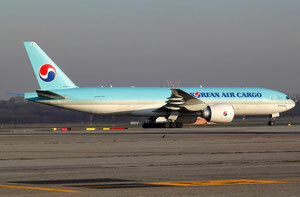 Korean recently took over their twelfth B777F. They are moving away from the B747-400 freighters of which in the meantime nine have been taken out of service to be replaced with two new generation B747-8 freighters, of which they now operate seven units and the B777Fs. It is not clear what will happen with the remaining nine B747-400F units still in service with the carrier. ASL Airlines Ireland will soon hand over a converted Malaysian Airlines A330-300 (P2F) to DHL Express. The aircraft which was built in 1995 has been converted into freighter by Dresden’s Elbe Flugzeugwerke (EFW). This is the first A330-300 series aircraft which has been converted into a freighter. DHL Express has six conversions of this type on order. 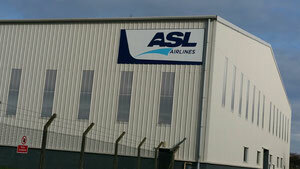 ASL Ireland also still has four aging Airbus A300-600 freighters on their books. Air France-KLM-Martinair Cargo last week announced that they are adding four new cargo destinations in their winter 2017-2018 flight plan which starts on 29. October and runs until 25. March 2018. Three new destinations will be added from the Amsterdam base. They are twice weekly to San Jose, Costa Rica, thrice weekly to Mumbai, India and also thrice weekly to Port Louis, Mauritius. All will be served with KLM’s Boeing 787 Dreamliner passenger equipment. Male, Maldives will get a new twice weekly service from Paris Charles de Gaulle, utilising an Air France B777-200 aircraft. A global container rental partnership has been opened between Luxembourg’s all-cargo carrier, Cargolux and SkyCell a Swiss-based provider of temperature controlled containers which are especially designed for the transport of pharma products. The containers being delivered to Cargolux are designed to transport pharma products in the temperature ranges of +2C to +8C and +15C to +25C range. Goods stored inside can withstand outside temperatures of between -35C and up to +65C for multiple days. Cargolux states that the new containers are of great use for them at destinations where there are not adequate facilities to accommodate inbound pharma shipments. SkyCell’s containers are of the low weight variety and offer high volume capacity. This, Cargolux states, can ensure that they effectively reduce CO2 emissions even further in the future. ULD supplier va-Q-tec provides passive temperature-controlled containers on rent to Lufthansa Cargo. According to a LH Cargo release, the high-performance thermal boxes are now available worldwide at numerous stations run by the freight carrier. The ULDs complement Lufthansa Cargo’s fleet of 100 active climate controlled Opticoolers developed and provided by producer DoKaSch. Thanks to the cooperation with va-Q-tainer, “the broad portfolio of Lufthansa Cargo is being expanded to include an excellent choice in the passive refrigeration segment,” stated Alexis von Hoensbroech, Head of Product and Sales at LH Cargo. Thanks to the new offering, customers shipping temperature critical goods benefit from the extended product range of cool ULDs offered by the carrier. On October 27, IAG Cargo released their financial results for the third quarter of 2017. Revenues between July and September reached euro 259 million which is a 10.2% increase over 2016. Yields are reported being increased by a further 2.4% and while capacity on offer grew by 3.8% - volumes generated went up by 7.7%. The improved results are reported to have been driven by continued strong demand from the Asia-Pacific region and stronger exports out of Europe. 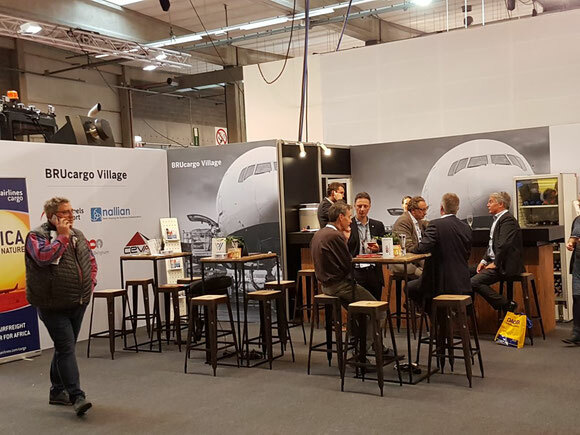 Brussels Airport pictured here with its stand at the Transport & Logistics fair in Antwerp last week, is setting up an Air Cargo Academy, as the cargo leg of Brussels Airport. Apart from informing about working at the airport, transport accessibility and activities in and around the Airport House, it also acts as a coordination centre for training. 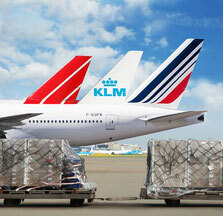 The Air Cargo Academy will replace the existing Cargo Training Centre, which is a cluster within Air Cargo Belgium. Its main focus will be on innovation. Bulgaria’s Cargo Air has bought a passenger B737-400 from Aircraft Finance Trust Ireland and will have it converted by a so far unnamed company into a freighter.